"An enchanting blend of young love, royalty, and the French Renaissance." "A historically sharp and dramatically stirring love story." Royalty. Powerful Women. Politics. Love. Laughter. Struggle. 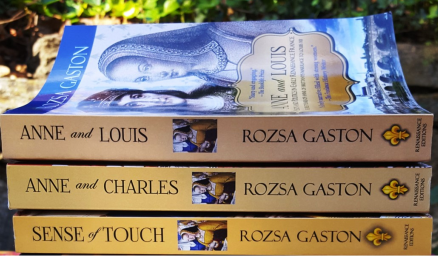 Author Rozsa Gaston weaves a compelling, narrative of historical fiction that celebrates Anne of Brittany’s strength, vulnerabilities, and power. 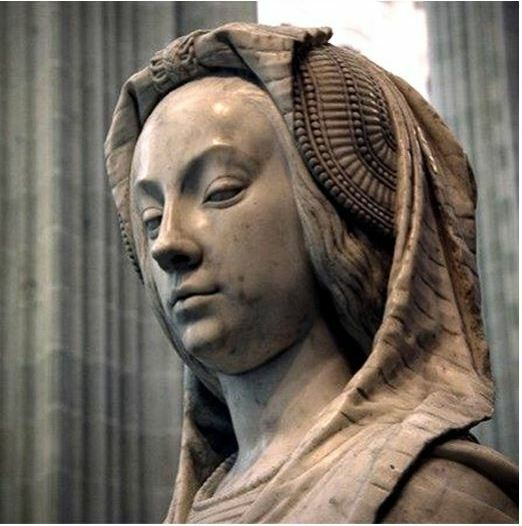 At a time where women are sharing their story and increasingly coming into their own, Anne of Brittany’s self-confidence and determined decision-making will inform today’s women. Learn how to own your own decisions from 15th century feminist ruler Anne of Brittany. "I thoroughly enjoyed the love story of Anne and Charles. It was intriguing to catch a glipmse of life in the 15th century and discover the challenges that this young royal couple had to cope with in their personal and public lives. I want to learn more about this remarkable queen." "I read a lot of historical fiction, but this novel is the first I've come across about the Court of Anne of Brittany. And I am glad I found it. The book is rich with the history of the period, but more importantly it shows a real understanding of how women deal in a society where they had little value other than what they brought to a marriage." "I really didn't know much about Anne of Brittany so this historical romance was so very interesting. Love that is a NO NO is always enticing whether it be historical romance or any other genre. 15th century history of a French queen... The story was exceptionally well written and the descriptions were vivid. Anyone who is a history lover, a romance lover or a strong woman admirer, will love this book." "I have no hesitation in giving this book five well-deserved stars. A fascinating insight into Ann of Brittany (honestly, before I read this book I had not heard of her). A mesmerizing storyline eloquently told with a brilliant dialogue. Highly recommended." ROZSA GASTON writes playful books on serious matters, including the struggles women face to get what they want out of life. She is the author of Anne and Charles (Book 1 of the Anne of Brittany Series), Sense of Touch (Prequel to the Anne of Brittany Series), Paris Adieu, Black is Not a Color, Budapest Romance, Running from Love, and Dog Sitters. Gaston studied European history at Yale and received her Master's degree in international affairs from Columbia. She worked at Institutional Investor magazine, then as a columnist for The Westchester Guardian. She is currently working on Anne and Louis: Middle Years (Book 3 of the Anne of Brittany Series). She lives in Bronxville, New York, with her family. Gaston can be found online on Facebook at https://www.facebook.com/AnneofBrittanySeries, or at www.rozsagaston.com, on Instagram at @rozsagastonauthor, or on Twitter at @rozsagaston. Join Rozsa as she weaves a compelling and historically accurate tale about one of history's most remarkable but overlooked rulers, a feminist before her time and creator of the first women's court in Europe. Dive into Anne of Brittany's story and come away empowered and inspired by the gripping tale of the only woman in history to be twice crowned queen of France.